Apple on Wednesday announced a host of (RED) charity efforts to mark World AIDS Day —Dec. 1 —with varying proceeds going to the Global Fund, which as part of its anti-AIDS efforts funds initiatives like testing, prevention, and medication. 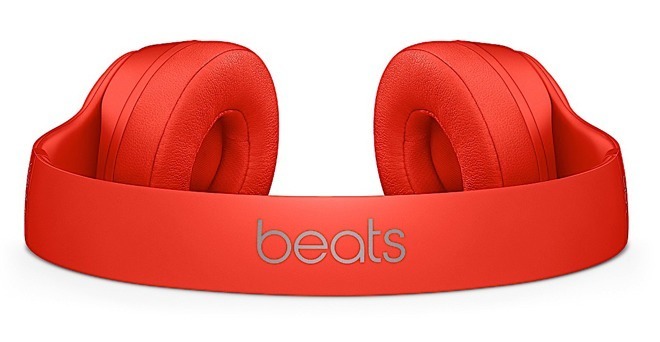 Most notably the company is launching several new (RED) accessories on Wednesday, including versions of the iPhone 7 Smart Battery Case, the iPhone SE Case, and promised Beats accessories, namely new colors of the Solo3 Wireless headphones and the Pill+ Bluetooth speaker. Thursday through Dec. 6, Apple will be donating $1 to (RED) for every Apple Pay transaction made at an Apple store, on Apple.com, or through the Apple Store app, up to a ceiling of $1 million. Likewise, Bank of America will make a donation for every Apple Pay transaction involving its cards, with an identical donation cap. On the App Store, 20 games will be offering in-app (RED) purchases for the next week. Some of the participating games include Angry Birds 2, Candy Crush Jelly Saga, Clash of Clans, and Marvel Contest of Champions. iTunes is accepting direct (RED) donations, and donating the full proceeds of The Killers' holiday album Don't Waste Your Wishes along with their cover of "I'll Be Home for Christmas." The store is also offering a free download of The Lazarus Effect, a documentary about (RED). The company notes that over 400 Apple stores will be turning their logos red, or at least sporting (RED) window decals, to mark World AIDS Day.